TORONTO, ONTARIO--(Marketwire - Dec. 10, 2009) - Worksmart Webware Inc. announces the end of staff scheduling headaches with the release of its web based staff scheduling service for small and medium sized businesses. Any business that needs to track staff, invoice their clients and pay their staff accurately will benefit from using Tia Staff Scheduling. 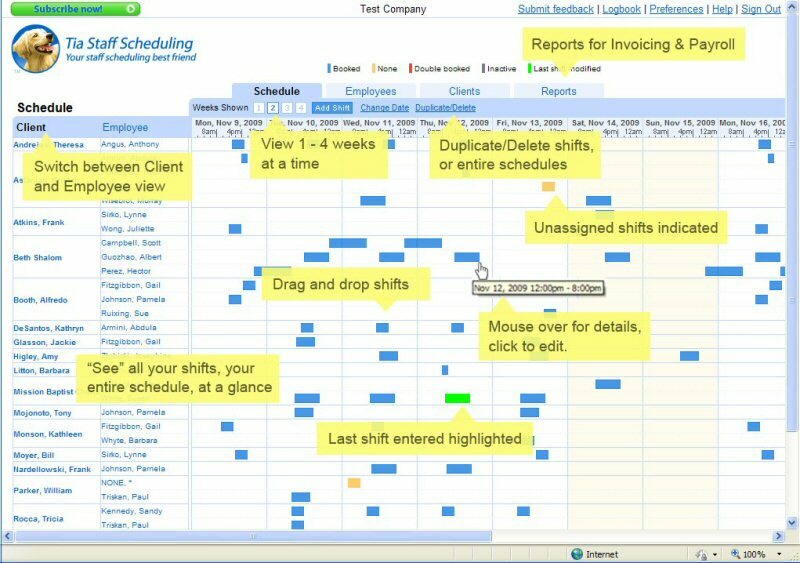 "Incredibly many companies are still wasting time using Excel, or even paper based schedules," says Malcolm Marcus, president of Worksmart Webware Inc.
"With Tia Staff Scheduling's unique visual approach, you can see your schedule at-a-glance, it's very straightforward, and being web based it's really easy to keep up to date," says Marcus. "You can also switch between client and employee views, copy shifts or entire schedules, and quickly and easily create reports for invoicing and payroll. And, it's quick and easy to learn." 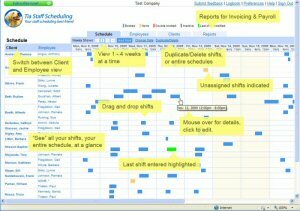 Tia Staff Scheduling is available now at www.tiastaffscheduling.com. Beta users have free access during the Beta period and receive a 90-day free trial when the service is officially launched. Worksmart Webware Inc. is a Toronto based company focused on the development and distribution of web or "cloud based", business applications.